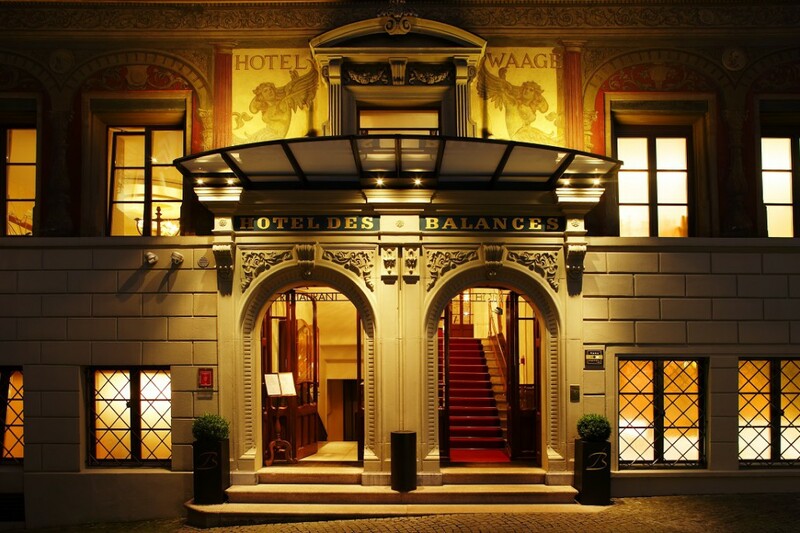 Hotel des Balances. 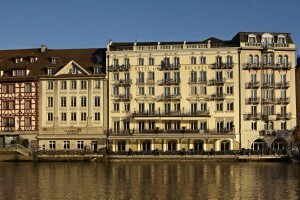 The pearl at the river Reuss. 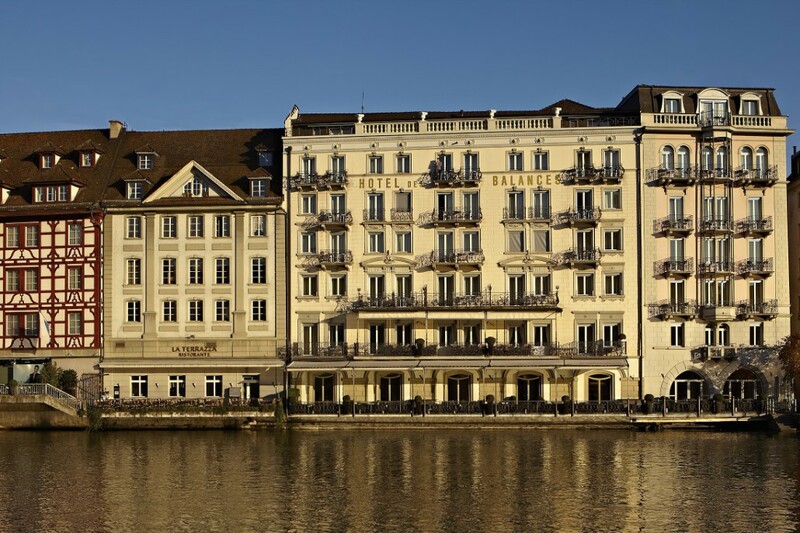 The Four Star Superior Hotel Des Balances is nestled in a prime location in the old town of Lucerne. The name “Des Balances” stands for the first-class quality (ISO certification), elegance and style. Here you will experience the destination of Lucerne at its best: From the famous sights of Lucerne and surroundings to the numerous shopping opportunities in the old town of Lucerne; and from exciting cultural life in one of the most beautiful Swiss cities to the adventure trips into the Central Switzerland. 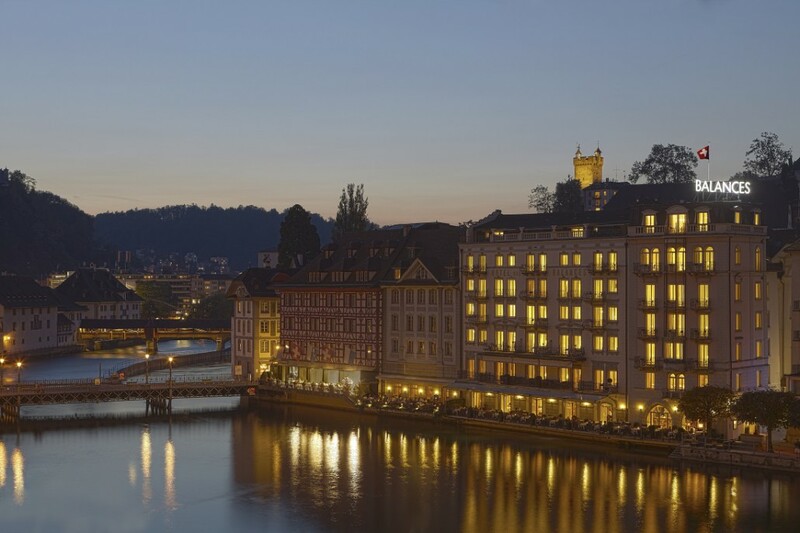 Spend your perfect holiday in Lucerne, embraced by our ambiance and careful attention! Let us reawaken your senses! We will inspire and pamper you! 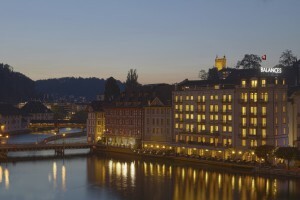 The gourmet restaurant Balances (14 Gault Millau points) with its sunny terrace is one of the best restaurants in Lucerne and has received several awards for its fine cuisine. 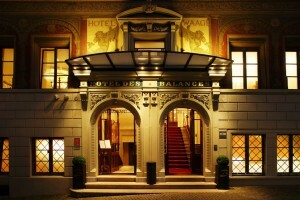 Cozy lounge of the Hotel des Balances is a popular meeting place in Lucerne.